IN JULY 2015, three freelance Spanish journalists Antonio Pampliega, José Manuel López and Ángel Sastre were kidnapped whilst in Aleppo Syria but now according to the Spanish Government following intervention by Turkey and Qatar as well as through other diplomatic channels, all three have been released and returned safely to Spain on Sunday May 8. 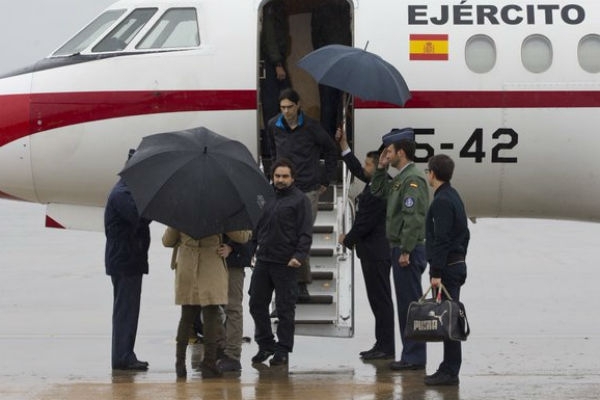 An aircraft of the Spanish air force flew to Turkey to collect the three men and it would appear that the negotiations of this release were brokered by the Spanish government after ensuring that there was very little press speculation about the whereabouts of the men or who their captors may have been. According to Spanish news agency EFE Deputy Prime Minister Soraya Sáenz de Santamaria had spoken to them following their initial release and thanked “the work of many public servants and the collaboration of allied and friendly countries” for the release. Previous articleAre these surrealistic circumstances really just very interesting times?